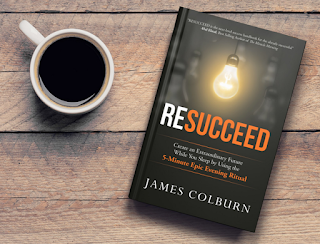 Joining Team Lally in this episode is James Colburn the The "Resucceed" Coach, book author and Development Consultant. James talks about the reason he decided to start writing his book and the entire process that took place for him to complete it. 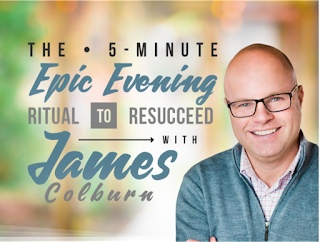 James discussed the background of the book and how he had once defined his identity to achievements and success, and how he failed by not planning his business and creating a plan for fulfillment. James also gives us a quick walk-through of the "5-minute epic evening ritual" that he created and wrote about in the book. James Colburn is the "Resucceed" Coach, book author and Development Consultant. He has over twenty-one years of executive and entrepreneurial experience. He offers a unique and refreshing business acumen in the areas of business strategy, innovation, branding, and accelerated profit strategies in the areas of culture shift creation and management. Whether you are looking for a Master Facilitator to steer a high-impact event or customize a culture / employee / customer satisfaction process, you can be assured of several things: Clarity, action and tangible results.